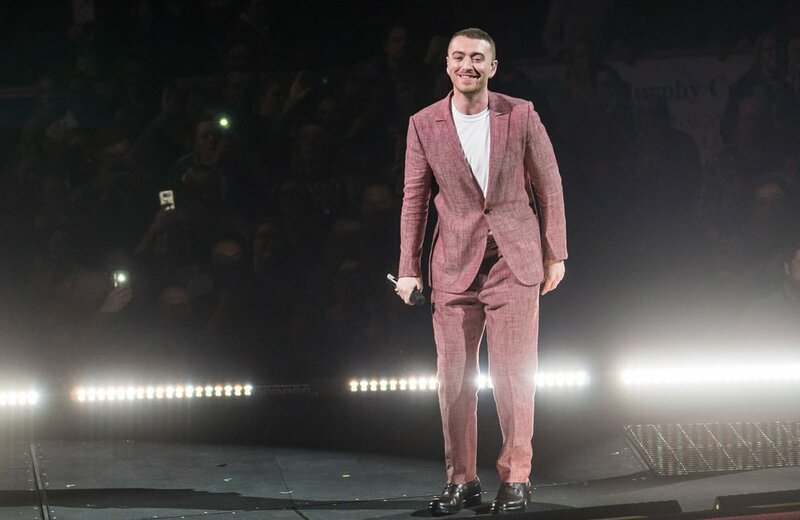 Sam Smith has admitted he used to "starve himself for weeks"
Sam Smith has admitted that he used to "starve himself for weeks" before photoshoots because he hated his body image so much. He wrote on Instagram: "In the past, if I have ever done a photo shoot with so much as a t-shirt on, I have starved myself for weeks in advance and then picked and prodded at every picture and then normally taken the picture down. Yesterday I decided to fight the f**k back. Reclaim my body and stop trying to change this chest and these hips and these curves that my mum and dad made and love so unconditionally. He explained: "When I was shooting my first music videos, I just wasn't happy with the way I looked, so I was trying to control the way the camera moved. I got a bit obsessive. I was constantly looking in the mirror, pinching my waist, weighing myself every day. Now, I've gotten to a place where I really love my stretch marks and I just enjoy my body. My job is very self-indulgent: I have to listen to my voice daily, I make decisions on what tour posters or album covers look like, I look at my face while sitting in the makeup chair. I get kind of sick of myself, so I trust my team. But my body image is always going to be an issue. I need to constantly train myself to watch the right sort of films, to not look at certain ads and think that's how my stomach should look. It's something that I'm getting every day. I think men should talk about it more."